On remand from the Supreme Court, the U.S. Court of Appeals for the Eighth Circuit has directed the District Court (E.D. Ark) to apply preclusion to the TTAB's ruling (here) on likelihood of confusion in the B&B v. Hargis case. B&B Hardware, Inc., v. Hargis Industries, Inc., Appeal No. 10-3137 (8th Cir. August 25, 2015). Earlier this year, the Supreme Court ruled that issue preclusion may apply to the Board's decision "when the usages adjudicated by the TTAB are materially the same as those before the district court." B&B Hardware, Inc. v. Hargis Industries, Inc., 113 USPQ2d 2045 (2015). [W]e now determine that the ordinary elements of issue preclusion have been met and the usages of the marks adjudicated before the TTAB were materially the same as the usages before the district court. As noted in our prior opinions, the TTAB compared the marks in question in the marketplace context when it determined the likelihood of confusion issue for purposes of trademark registration. Accordingly, we vacate the district court’s judgment and remand this matter for further proceedings, including what remedies may be awarded for infringement. *** On remand, the district court is directed to give preclusive effect to the decision of the TTAB on likelihood of confusion. 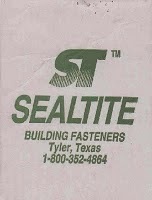 TTABlog comment: Note that the identifications of goods in the application and cited registration in the TTAB proceeding were very narrow: "self-piercing and self-drilling metal screws for use in the manufacture of metal and post-frame buildings" and "threaded or unthreaded metal fasteners and other related hardware; namely, self-sealing nuts, bolts, screws, rivets and washers, all having a captive o-ring for use in the aerospace industry." As we know, in Section 2(d) cases the identifications of goods are often very broad, and consequently the Board's decision regarding likelihood of confusion is not based on real "marketplace conditions."